They do a great job. Their staff is very nice. Quick and painless. Everything was very well done. On time. Job well done. Reasonable price. I wasn’t home when he came, my son told him what needed to be adjusted. Had a little hiccup but worked out everything over the phone very easy. Work was done fast…couldn’t even tell they were ever there. NJ BLS&F Inc. worked with me for a convenient time to meet & went beyond to find the correct measurements the township regulates. They are friendly and did an excellent job installing my fence. They have been good, took a few adjustments to get things just right, but I guess you have to expect that with sprinklers, especially when you change your landscaping. He knew exactly what was wrong and fixed it. Has a shallow well pump leak, now no more leak… I use NJ best all the time.. I have been a commercial customer of Best Lawns for seven years and I am extremely pleased at their professionalism, quality of work, costs. I highly recommend. Followed through on everything you said you would do. Skye and initial sales person were awesome. Had some work done in the property and some of the cures were inadvertently cut Tony was able to resolve the issue and everything works great. The technician was not only on time, but also courteous, helpful and fixed everything. We are very pleased with our service today. Thank you! This company not only has the best prices, but they also employ high quality workers who are professional, well groomed and also extremely polite. They never leave a job unless the job is to the satisfaction of the customer. Furthermore, they do excellent work and clean up after they leave. I am not only satisfied but I would use them again if I need additional work. I rate them 100% in all aspects. Professional, and personable. Arrived on time and serviced the system, even on one of the hottest days, and explained it well, so that even I understood what was involved. Would recommend them to my neighbors for their excellent service. Top notch service technicians. Friendly, informative and helpful. Arrived on time. Quickly fixed problem. Great job and great installer. Excellent technician was very helpful. It a fast and well done jobs. Thank you! The team was very professional and took extreme care to do a quality job. The technician came to start-up the system. It was a quick and efficient job. We are very happy with the service. He was right on time and fantastic. NJ Best always does an outstanding job. The technician was on time in spite of a pending storm and tested everything out to make sure it was working properly. I was blown away by what a great job they did and how fast it was done. I actually got a estimate from a competitor before I found New Jersey Best Lawns, Sprinklers & Fencing and they said it would take a week to do the install, and I’d have to get my own plumber. BUT NJ BEST did it in 6 hours and exceeded my expectations. They did it all and didn’t leave until I knew how to use it. I’m very happy and so is my lawn. Professional job. They know what they are doing. They also treat the customer with respect and provide feedback. Kieth was great, looked at all of the issues and corrected them right away. Had to delay several times due to construction everyone was accomadating. As a first time homeowner I was worried about the overall experience, but NJBLSF are very easy to work with. Excellent service, smooth installation. Great job guys. Had some issues with the controller. Not crazy about the wifi controller, Fabio came to the rescue and had the system up and running. They were quick and neat. Leonardo was very professional in the way he performed the service process. Pleasant and punctual. Employees go out of their way to give great service. Being a business owner myself, I understand not everything goes as well as we plan. But I was very appreciative and pleased with the way NJBL handled and rectified my situation. KUDOS to them. They truly showed they are true professional. I would highly recommend them. Thanks again Danielle. Mr Tony Parisi showed up on appointment today and after describing to him what we need to do to get our sprinklers to work again; he immediately started the checking of some areas where he suspects needs to be replaced or repaired. After which he said he will send us a quotation on all jobs to be done. Gave him email address. Job will proceed after quotation is approved. I have used your service for many years. Your team has always been professional and friendly. Have no complaints…your staff comes on time and is very courteous. These guys were great! Fast and efficient! Your men were very courteous and friendly. They were done very quickly and answered a few questions we had for them. Since 2008 I purchase a new sprinkle system, and every year since I’ve been using them, to open & close my system. Leo the technician is the Best!!! He gives excellent lawn & sprinkler service and truly cares about his customers. 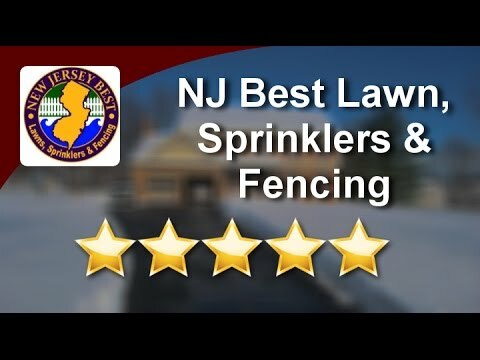 Because of Leo (technician) & Connie & Terry (Customer Service), New Jersey Best Lawns, Sprinklers & Fencing Inc. is the Very Best in New Jersey!! We have been with NJ Best Lawns for quite a few years and always have received great service. They are efficient in opening and closing the system and work with my schedule. If I need something adjusted they come quickly and fix the problem. I highly recommend them. I can’t remember how many years I have been using New Jersey Best Lawns but it is more than ten years. I am very satisfied with my service especially when Steve opens the system, he is fantastic. This is our first experience with an automatic sprinkler system. The NJ Best technician was great in checking things out and showing us how the system works (or should work). We have been using NJ Best for 8 years and they are always wonderful! Service guy was very polite even called to let me know when to expect him..
Only one year. They very professional they always on time they treat me like I’m the only customer they have. I have the bronze service. Works well for us. Service tech’s are always good. System works well. Come for service when called. Its only been a year but I like the company and its services. I can’t get over what a difference, I had a yard clean up and they went over and above what I expected. I have never seen my red maple look so great! What a phenomenal job. I can hardly wait to get the back yard done!! I highly recommend NJ Best and specifically Victor!! Quick , simple , courteous and customer oriented. I had my start up today. The technician is very professional. This is the second time we are using NJ best for a fence. Great price and only experts installing our fencing. A++. Shut downs. Appreciate that they are willing to re-schedule appointments easily. The service has been good. The technician was on time and very courteous, the system was started without issues. More than 8 years. Us mainly for irrigation – sprinkler start up and code during fall. New customer. Use lawn sprinkler service. Very satisfied with service at this time. We use the Bronze plan for our Sprinkler system. We have been pleased for at least 8 years with our service. thank you. 10 yrs–service is excellent–service people are friendly and helpful as are the office staff. overall good experience. Very satisfied on both Lawn sprinkler and fence installation. Workmanship is of the highest quality and customer service is great. I think almost 10 years I bought my home in 2011, May. Super good job done I am satisfied they do help me beyond the task they do. 5 years of irrigation and lawn care. Lawn cuts reliable as you get into the season the cuts are too short. Irrigation team good problem solving. All of the workers were professional, knowledgeable, hard working and didn’t leave my property until it was clean and the installation was perfect. Thanks guys! Very pleased with the equipment and extremely pleased with technician Kieth and his assistant Bryson. Gentleman both, well spoken, and know their trade. Dolores Johnson. Excellent, on time, knowledgeable service. The service tech was courteous and professional and went out of his way to be helpful. Will definitely call NJ Best again. My first time using NJBL,sprinklers & fencing… With in hours I received an estimate .. The two men on the job were very nice . Hard workers!! I’m very happy so far. Great professional team of guys and the girls at the office are great . i have been using this company for my landscaping and for sprinklers i cant be happier .. Denis from Toms River. 15 year. Companies great to work with especially the field operation Manager, Tony he is very honest and polite person to resolve any issues. Would recommend this company to anybody in need. I’ve been a customer of NJ Best since 9/9/16. This was my first startup in the spring. Went very well. Guys where courteous and efficient. One time as well. Look forward towards working with NJ Best in the future. Using you 9 years for sprinkler maintenance, closing, lawn care and fall clean up. All services are fine. My only issue is sometimes when the ground is wet and you cut the lawn the tractors tires trash the lawn, especially when turning, around the fence and it requires that I repair the area. NJ Best Lawns are simply the BEST. I have been with a few different lawn care companies over the years and discovered you actually get what you pay for. 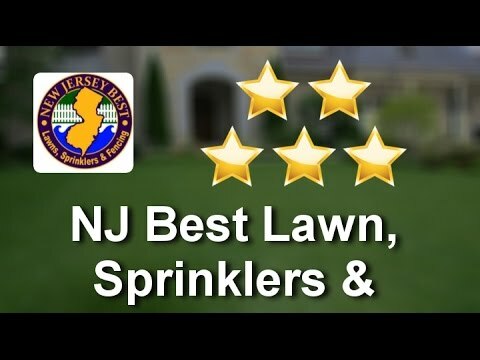 From lawn care and sprinkler services and other services they offer, I strongly recommend NJ Best to my friends and family. I’ve only been in the area a year. NJ Best installed my sprinkler system and I’ve found them to be very accommodating and professional. Love their service. Richie, our latest technician, was the BEST!!! Prompt, Courteous,. Accommodating, Professional – what more could you want? We’ve only been using New Jersey’s best sprinklers for about a year and we’ve been completely satisfied so far. They install their system last year with minimal disruption to our yard and our lives (we have three small children so the yard is important). They always show up when they say they’re going to show up. They’re great with communication to get the appointment set up. Advanta one is asking about sprinklers they will be our first recommendation. I have been using NJ Best for several years now. My mother is also a customer as well as my neighbor who had a system installed last year. The folks are always very professional and knowledgeable. I was very fortunate to have had Richie come out, it’s always nice to have the same people come back out to check our systems. This is only second time using NJ Best Lawns for our sprinkler system winterization and start up. Showed up when promised, tech was very thorough and efficient. We are a commercial building with a well hook up for irrigation and the technician knew exactly what to do, I didn’t have to explain where everything is and what valves to turn like I have had to in the past with other contractors. Tech performed a thorough inspection of all sprinkler heads and went over any issues with me. Highly recommend! I live in West Orange, NJ and I’ve been using NJ Best Lawn Sprinklers and Fencing for the past three years to install my holiday lights. The team is great. My primary contacts are Vinny and Connie. The installers are professional and do a great job. They show up on time and in the event one bulb goes out, they come out quickly to fix it. Their prices are reasonable (lower than the competition) and billing is simple and easy. I highly recommend NJ Best to install your holiday lights to help get your inner “Clark Griswald” on! This was our first experience with this company and we couldn’t have been more pleased. From our initial meeting all the way thru to the installation was a great experience. Every person associated with this company was professional, and caring. I had the opportunity to speak to the owner and he went above and beyond to make sure we were happy. The 2 gentlemen that were the installers couldn’t have been more professional, working extremely hard and well after the sun went down. This kind of dedication in their workers is a testament to the entire companys attitude and desire to make the customer happy. NJ Best installed my sprinkler system about ten years ago and has maintained it since. They are always punctual with opening and closing, reasonably priced with service and replacement parts, and responsible. Based on same I recently engaged them install a new vinyl fence around my back yard. Everything about the process was “professional”, from the initial sales call to the final installation. Their pricing was competitive and their product top notch. The initial sales person was very helpful with the selections, the back office with timing and accommodated my schedule, and the two installers were hard working, clean, paid attention to detail and finish, and in the end, left the project clean. I couldn’t have asked for a better experience. Comment: I liked the fact that no one had to be home for them to winterize the sprinkler system. Comment: Servicemen were very courteous as well as knowledgeable and hard-working. They explained my options clearly and helped me make the right decisions. All work was done quickly and to my satisfaction and the system was checked before the men left. Although we wont know until Spring whether the entire system will work well on a preset program we are confident that it will. Comment: What more can you ask of a company than to do what was requested (winterize) correctly the first time? They came when the promised and the rate was fair. Comment: They did a fantastic job within days of signing the contract. We are very satisfied with the work. The workers put in more lines than originally specified because they said that was the right way to do it. They did this at no extra charge. Comment: They winterized my sprinkler system. They did a good job and were very professional. Comment: The sales representative showed up right on time. He was friendly, informative, answered questions that I had before hand and didn’t mind taking me through a full walk through of what I could expect the day the installation would take place. The work crew that were assigned my job were just about as wonderful as you could have hoped for. They were prompt, got right to work on the job, explained alternative choices I could have to my installation that would make my system controls more accessible to me and finished in record time. Following their clean up, if you didn’t know I had work done on the lawn you wouldn’t be able to tell. Comment: NJ Lawn and Irrigation did an excellent job. They completed the estimate and the install with in a two week time span. The system is a quality system and they have checks in place to insure customer satisfaction. We had our entire property done and thought the price we were quoted was good based on the amount of work involved. I would highly recommend this company. Comment: I was satified with the service. They confirmed the day earlier were on time . Price was competitive. Comment: I appreciated the confirmation call the day before with the estimated time they would be at my home, and they came within that time period. Professional/polite/job completed in timely manner. Comment: They came to the house right away – VERY reasonable quote. My kids will have a very BRIGHT Christmas on a single mom’s income:) THANK YOU! Comment: They came within the allotted time and performed the job of winterizing the sprinkler system. I would recommend them to other customers. Comment: They worked quickly and methodically, and knew exactly what they were going to do. The system was installed and operational within a few hours. They also did a decent job at cleaning up and re-grooming the effected areas. In general, a very positive experience, and an excellent value. Comment: Roger, The Service rep was promt and very professional and explained thier service offerings which met my needs.No hard selling and met my needs. I will recommend. Comment: The entire staff from Customer Service to the professional installers have been nothing short of teriffic.Professionally managed and run Company, with highlt trained professionals who take their jobs seriously and back it up every time. I could not have made a better choice once the decision to install a home irrigation system. Comment: In July 2008, I hired “Evergreen Co.” to install a sprinkler system and hydroseed my property, based on their claim of 27 years of experience and best price offer. The job took a week and it was sloppy, careless and, technically, a failure. In October, I hired “NJ Lawn and Irrigation” to uninstall the previous system and install a brand new one. It took Tony and his crew a few hours to complete the job – fast, neat, professional, and it works great. Yes, NJ Lawn and Irrigation is more expensive than Evergreen, but the quality of the design, materials used and work performed is worth 20 times more than the price difference! Comment: Always kept in contact, as well as returned phonce calls promptly. Pricing is reasonable and the staff are professional. Comment: Project was done on schedule and on budget. All representatives , Sales, Installation, and Service, were friendly, knowledgeable, and professional. Customer service and satisfaction are a 100% priority. I fully intend to recommend NJ Lawn to family and friends.